2Assistant Professor, Lorestan University of Medical Sciences, Khorramabad, Iran. DMFT index is one of the best dental epidemiological indices, which represent the oral health status of the population and has been accepted by authorities and international organizations such as the World Health Organization. The aim of this study was to assess the permanent teeth DMFT index in guidance school students to determine the influencing factors such as brushing, tea and sugar consumption , number and type of snacks, parents education status, family member number, economic situation and visiting the dentist status. In this descriptive, cross-sectional study, 320 student girls from guidance school (12 years old) were randomly selected in Piranshahr city. Their health information was obtained by referring to their health files to determine DMFT. For some related factors to the index a questionnaire was designed by researcher and completed by the students. The data was statistically analyzed using independent T-test and ANOVA. The mean DMFT in the students was 2.53 ± 2.28. The frequency of brushing, snack consumption, visiting the dentist, family economic status had significant correlation with the DMFT index (P<0.05). The daily tea drinking, sugar consumption, number of family members, parents education level had no significant correlation with the index (P>0.05). The average of DMFT in Piranshahr guidance school students is higher than World Health Organization standards; thus, to improve the present situation, it is necessary to design a proper plan. More attention to families dental and oral health is necessary via mass media, heath service centers and health teachers in schools. 1. Sajadi F-S, Mosharafian S, Torabi M, Hajmohamadi S. Evaluation of DMFT index and Significant Caries Index in 12-year-old students in Sirjan, Kerman. Journal of Isfahan Dental School 2014;10(4): 290-8. 5. Moura LcdFtAd, Moura MSd, Toledo OAd. Dental caries in children that participated in a dental program providing mother and child care. Journal of Applied Oral Science 2006;14(1): 53-60. 12. Nokhostin MR, Siahkamari A, Akbarzadeh Bagheban A. Evaluation of oral and dental health of 6-12 year -old students in Kermanshah city. ISMJ 2013;16: 241-9. 16. Ismail AI, Sohn W. The impact of universal access to dental care on disparities in caries experience in children. The Journal of the American Dental Association 2001;132(3): 295-303. 19. 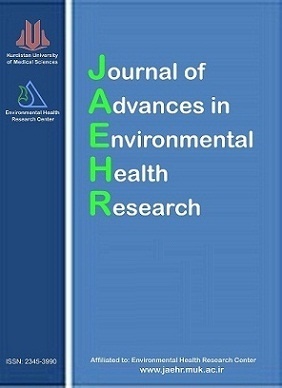 Talebi M, Makarem A, Mazhari F, Movahedian N. Diet Analysis and Its Relation to Dental Health Status of Mashhad Preschoolers in 2004. 2007. 20. Mohammadi TM, Kay EJ, Hajizamani A. Relation between past and present dietary sugar intake and dental caries in a high caries population. Journal of Dentistry of Tehran University of Medical Sciences 2008;5(2): 59-64. 21. Wulaerhan J, Abudureyimu A, Bao X-L, Zhao J. Risk determinants associated with early childhood caries in Uygur children: a preschool-based cross-sectional study. BMC oral health 2014;14(136):1-8. 22. Al-Hosani E, Rugg-Gunn A. Combination of low parental educational attainment and high parental income related to high caries experience in pre-school children in Abu Dhabi. Community dentistry and oral epidemiology 1998;26(1): 31-6. 23. Hallett KB, O'Rourke PK. Dental caries experience of preschool children from the north Brisbane region. Australian dental journal 2002;47(4): 331-8. 24. Ahmed AM N, Åstrøm AN, Skaug N, Petersen PE. Dental caries prevalence and risk factors among 12-year old schoolchildren from Baghdad, Iraq: a post-war survey. International dental journal 2007;57(1): 36-44.